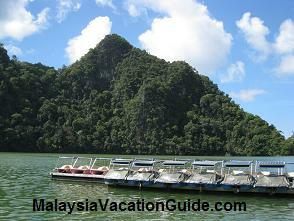 Langkawi Cable Car can be considered as one of the most contemporary and new attraction in the magical island. The cable car will bring you to the hill of Mount Mat Chinchang – letting you to grasp the magnificent and breathtaking view of the whole island, and at the same time, make you fall in love deeply with the beauty of Langkawi. 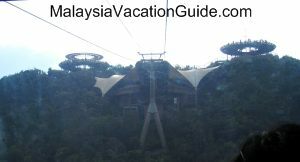 The entrance of the cable car is situated in the Langkawi Oriental Village. You will have to enter the Oriental Village and take a short walk in order to reach the ticket counter and entrance to the cable car. The distance between the base station at Oriental Village to the top station at Mount Mat Chinchang hill is only 2.2 km. The whole cable car ride takes about 15 minutes, with 2 viewing stations in between. Sitting in the 6-seat cable car, you will be able to see wide spread of lush forest and as the cable car moves, you will be seeing a greater view where everything is surrounded by the beautiful Andaman Sea. 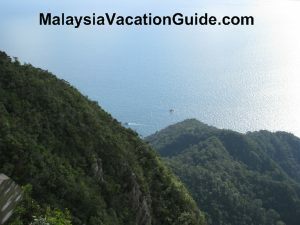 Besides, you can also spot the beautiful Seven Wells Waterfall from the cable car. 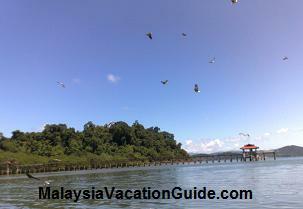 The viewing station enable you to capture a macro view of Langkawi. Visitors will reach the first viewing station after an approximate 10-minute ride. The viewing station is divided into 2 huge platforms in round shape, giving you a 360° view of the whole island. Standing at 652.5 meters above sea level at the first station, the beautiful view that lies in front of your eyes will make you speechless. The sea in shades of baby blue and light turquoise, surrounding by lush forest in rich green seems inseparable with the skies, making it the perfect place to take beautiful portrait-like picture. Visitors can stay as long as they wish and take their time to truly enjoy the magnificent view. From the first viewing station, you can still continue your ride to the second viewing station which is located at the hill of Mount Mat Chinchang. The ride between these 2 stations takes merely 5 minutes. At the top of the hill, approximately 700 meters above sea level, you will find that the weather is fresher with chilling wind gently blowing. 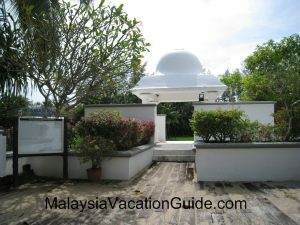 The higher viewing station gives you a wider and more comprehensive look of the sea and skies. 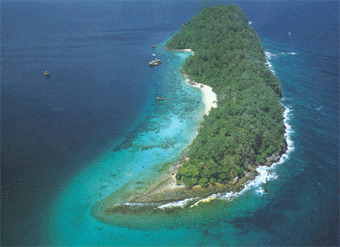 Here, you can see islands in different sizes scatter around. Surprisingly, it is said that you can even see our neighbouring countries – Thailand from the viewing station. Thus, if you pay a visit to Langkawi Cable Car, remember to take a guess on where is the exact location and borderline between Malaysia and Thailand! In addition, another major attraction of Langkawi Cable Car is the longest Suspension Bridge in the world that links the 2 viewing stations. For those who like exciting stunt, the suspension bridge is definitely something not to be missed. 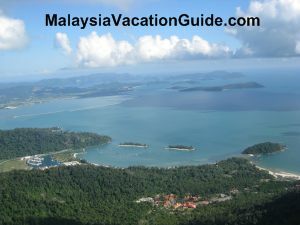 See the magnificent view of Langkawi from the cable car. Another mountainous view of the islands. Entrance fee for the cable car is RM 20 but it is only applicable for local tourists that have Malaysian ID card as proof. 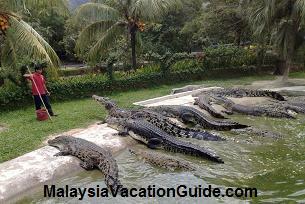 Otherwise, you will have to pay the non-local tourist rate at RM 35. 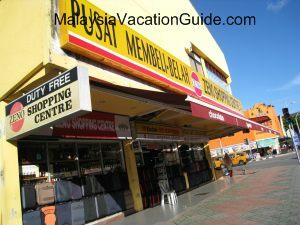 Langkawi Cable Car is located at Oriental Village, Jalan Telaga Tujuh. 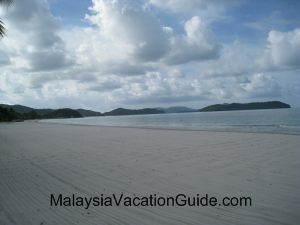 This place can be reached by a 15- and 30-minute drive from Langkawi International Airport and Kuah Town respectively. This place can be easily found by heading to the West, following the road sign of Telaga Tujuh (Seven Wells). 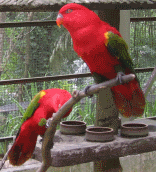 However, it is advisable to check the weather forecast before planning your trip to the Langkawi Cable Car as a gloomy and overcast day will affect the visibility of the wonderful view from Mount Mat Chinchang. At the same time, if you have sufficient time and prefer trekking and hiking activities, pay a visit to the Seven Wells Waterfall which is adjacent to the Langkawi Cable Car as well. There, you will be able to see the magnificent waterfalls that break into 7 parts in different locations, thus being named as Seven Wells Waterfall. 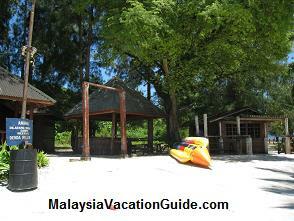 Admission to the waterfalls is free but you will have to pay RM 2 as parking fee if you drive and park your car there.